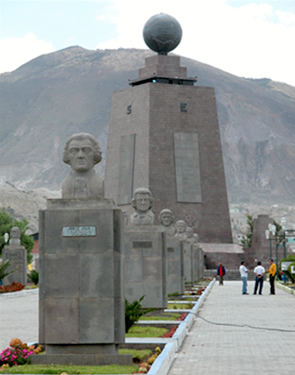 If you ever go down to Ecuador, close to Quito (it’s capital city) you’ll find a monument telling you that you are visiting the Center of the World. It’s located where a comission of french engineers decided that it was supposed to be. Using the most advanced technology available (in the 18th century) they went all over the country searching for the precise location of the division of the earth’s two hemispheres. Visiting the place you’ll find the monument and close to it a fake old town and half a dozen small “museums” devoted to countries and subjects related to the engineers that made the discovery, the people that used to live there, or the sciences related to the earth and it’s study. But there is one small place that makes this whole Center of the World idea a complete joke. 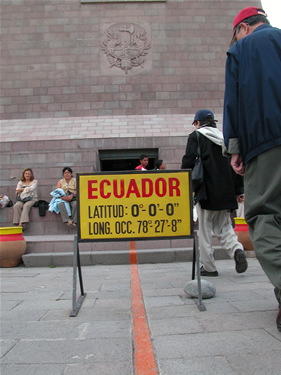 Some years ago, an ecuatorian researcher went after the real middle of the world using GPS machines… and he discovered that the monument is close, but misses the real point where the north becomes south. He started looking around and discovered that it’s real situation is on another monument, a circle of stones on the top of mount Catequilla, built centuries before the french one, and actually located in the REAL center of the world. Who made this? An aborigin culture even before Columbus arrived in America! 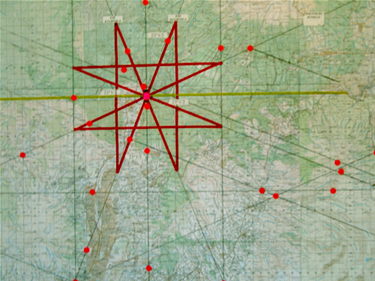 The amazing part is that this researcher started to work with some young professionals that believed in the discovery and they developed a very elaborate study on the way the aborigins used the mountains and the sun to discover the real zero point, and how they (the aborigins) even built sacred temples on locations aligned to the different phases of the sun. They have proof, also, on how Quito’s catholic churches where built over this sacred temples devoted to the sun, to replace the aboriginal gods with Jesus. 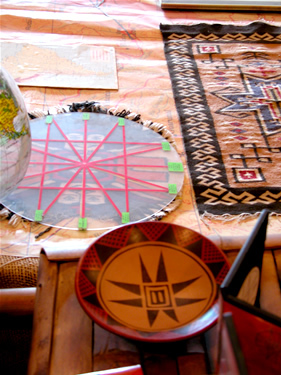 When you visit their small museum you hear an explanation on how there’s still an aborigin culture that, from centuries, have been calling the area Quitsa-to, maybe giving an explanation in the origin of the name of the city (Quito). The wonderful thing is that this word, Quitsa-to, means Center of the Earth. More than just a coincidence, uh? 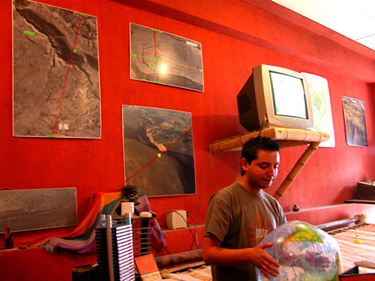 The work of this team has been a problem for local authorities because, in the end, means that the french monument is useless and the other monument, the circle that the aborigins left in Catequilla (a mountain), should be saved from the people that right now are destroying the area looking for materials to be used in buildings. The work of this young team has as many enemies as it could have followers. The fight to show the world this discoveries has been a tough one, receiving critics from the government but has raised international prizes and recognition from numerous sources. Only time will tell what happens with Ecuador and this hidden treasure. Sadly, the only way to get info about this subjects is either visiting the site or write an email to the researchers asking for a copy of the CD and DVD box they sell (for US20), filled with this amazing story, their discoveries and info on the culture that produced this ultra rare monument devoted to the sun, that happens to be the real center of the world.